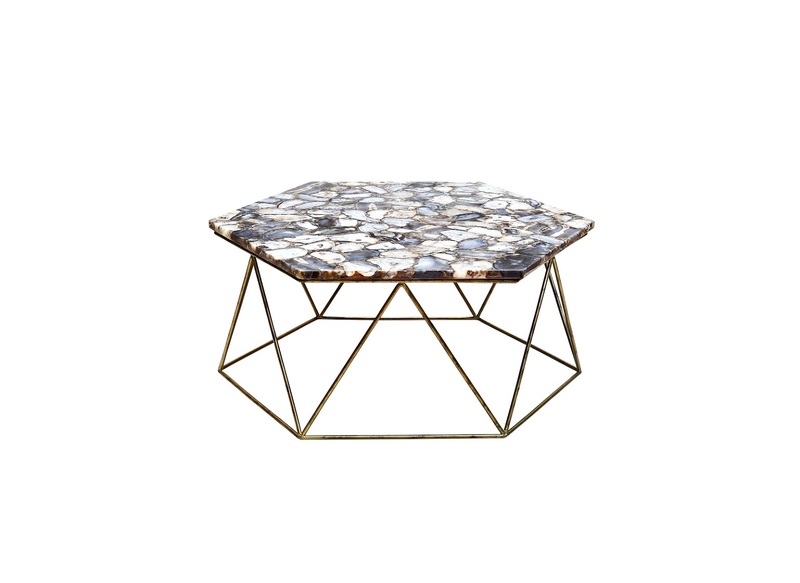 Description: The organic patterns of natural agate give this coffee table its striking appeal. 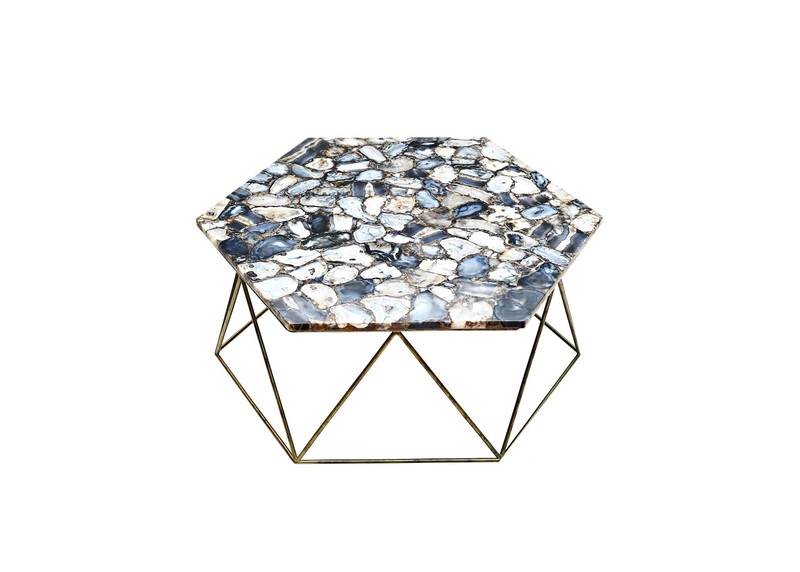 The polished stone is paired with an iron base for an elegant combination of materials. Each piece varies slightly, and sits beautifully in any room.